Thank you for considering sharing your story of etiquette faux pas with the loyal readers of Etiquette Hell/Wedding Hell’s Bells. Please change all names, locations and specifics of the story you would not want made public at the time you submit your story. Email addresses, header data and names will be deleted but not much else. The responsibility for “hiding” any identifying factors in your story lies with you. We do NOT reveal your real name or email address in the Web site nor in subsequent other publications. Your anonymity is assured when you contribute a story. By submitting content to Etiquette Hell/Wedding Hell’s Bells , you automatically grant, or warrant that the owner of such content has expressly granted, Jeanne Hamilton the royalty-free, perpetual, irrevocable, non-exclusive and fully sublicensable right and license to use, reproduce, modify, adapt,publish, translate, create derivative works from, distribute, perform and display such Content (in whole or part) worldwide and/or to incorporate it in other works in any form, media, or technology now known or later developed. Further, you warrant that you are the original author of the story and that it has not been plagiarized, copied or removed in whole or in part from any other source. Essentially, this is legalese allowing Etiquette Hell/Wedding Hell’s Bells’ owner, Jeanne , to correct typos/spelling, protect copyright of the web site under one legal entity, to release edited (no names) stories to print news media and to cover her backside in case you used your story to libel someone else or stole someone’s copyrighted material as your own. There are no plans for any future books based on Etiquettehell.com. 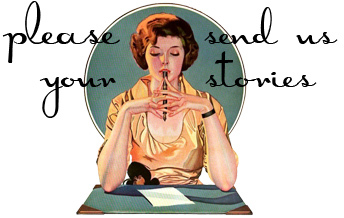 From time to time, Etiquette Hell/Wedding Hell’s Bells does get requests from news media for interviews and TV appearances so please indicate in your email whether you would be willing to tell your story on radio or TV. Be sure to leave your phone number as well if you are willing to tape a talk show, etc. Help make updating the blog easier! 1. Use a subject in your email which identifies which Ehell/Hell’s Bells category the story belongs. Blank subject lines or poorly chosen subjects slow the updating process down considerably. 2. Use capitalization, paragraph breaks and punctuation. Long stories with no paragraph breaks or no capitalization are nearly always deleted.